In addition to utilizing commercial FE packages, Emc2 has a library of in-house developed user subroutines for aiding in these calculations. 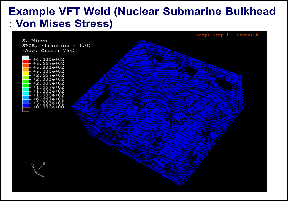 A brief summary and description of representative weld modeling solutions are provided below. Welding residual stress (WRS) can be a key contributor to weld cracking in both construction and service. Welded repairs (depth, length, location) can have a marked effect on the WRS field and the uncertainty associated with this must be identified and accounted for. 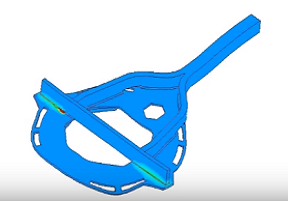 Emc2 has developed its own proprietary computer codes to accurately simulate residual stress build-up in construction and repair welds. Distortion control is also predicted for optimizing construction procedures for large welded structures, which allows for more economic production in heavy construction equipment, ships, offshore platforms/rigs, and other large equipment.